The first time we see Jane Ashland, she is alone on top of a misty Norwegian mountain with very little equipment and no phone. Instead of trying to survive, she is thinking of the position her frozen body will have taken when the rescuers find her. Cut to a few days ago. Jane, an American fiction writer, is having several drinks on her flight to Norway, where she plans to explore her Norwegian ancestry. On the plane she meets Ulf, a Norwegian zoologist who is just returning from a period of observing musk oxen in Canada. The narrative jumps between her encounter with Ulf, her time at the Askeland-Nilsen household (her distant relatives), and the scene on the mountain top. After spending a few days with the Askeland-Nilsens, Jane takes Ulf up on his offer and decides to join him on a trip to go observe musk oxen. During their climb, we learn more about Jane’s past. The short opening chapter is a bit misleading, and you’d be forgiven for imagining this book as a mystery combined with the classic tale of survival against the elements. It would feel like a cruel bait-and-switch if it didn’t offer refreshing surprises time and time again. Whenever you feel you’ve figured out what this book is about, it turns on you, it switches perspective and reveals another side of itself that you didn’t imagine could be there. A great example of this is that a substantial chunk in the middle of the book is dedicated to Jane’s relationship with Greg, her university boyfriend whom she eventually marries. It almost feels like a short story, the way it effortlessly retreats from the main narrative and takes its time to portray this relationship. Of course, revealing too much at this point would do the book a great disservice, so, in the words of Forrest Gump, that’s all I have to say about that. What is interesting about the book on a metafictional level is when you realise that you’re reading a Norwegian writer writing about an American writer who is visiting Norway for the first time. It’s an interesting choice for Nicolai Houm, who has previously lived in the United States, as it forces a very specific perspective on him: looking at his home country and trying to decide what Jane would notice, what she would find noteworthy or extraordinary, and what she would categorise as being typically “Norwegian.” It is Houm’s first novel to be translated into English, and a promising step towards the exploration of contemporary Scandinavian fiction that is not part of the recent Nordic Noir craze (or Knausgaard). The Gradual Disappearance of Jane Ashland is a character-based page turner that answers questions without letting the reveal be the sole payoff. When you reach the end you don’t feel like you finally got the answer to an Agatha Christie-like mystery – you feel like you’ve come to understand something crucial and profound about the tormented protagonist. It’s more literary than its modesty will let it admit. 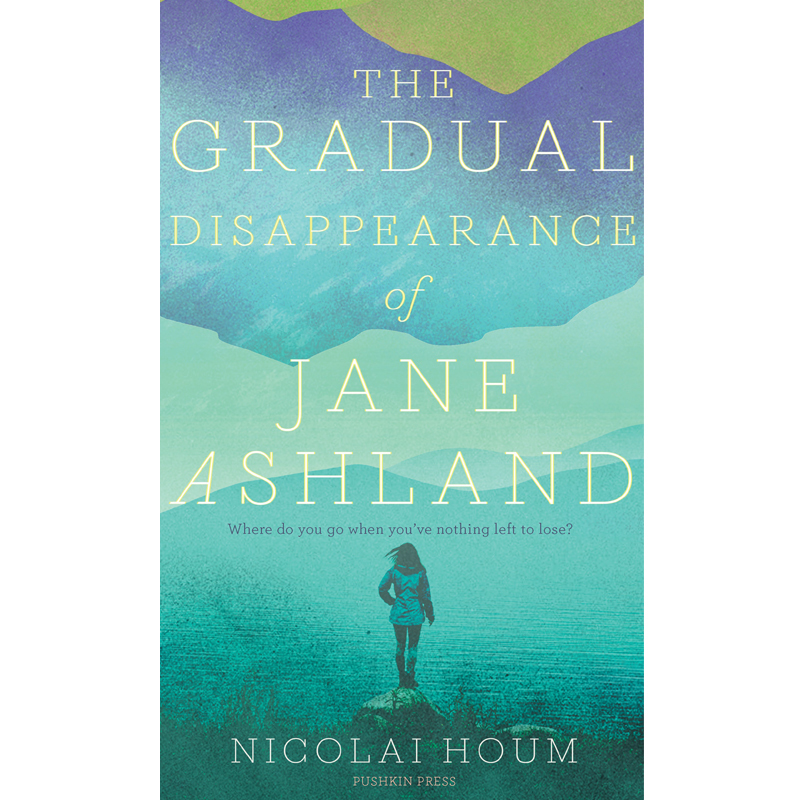 The Gradual Disappearance of Jane Ashland, written by Nicolai Houm and translated into English by Anna Paterson, is published by Pushkin Press and released on Thursday 26 April.